Cox Collection (Manager, White Star Line): Gummed paper label, with illustration of crane and ocean liner. 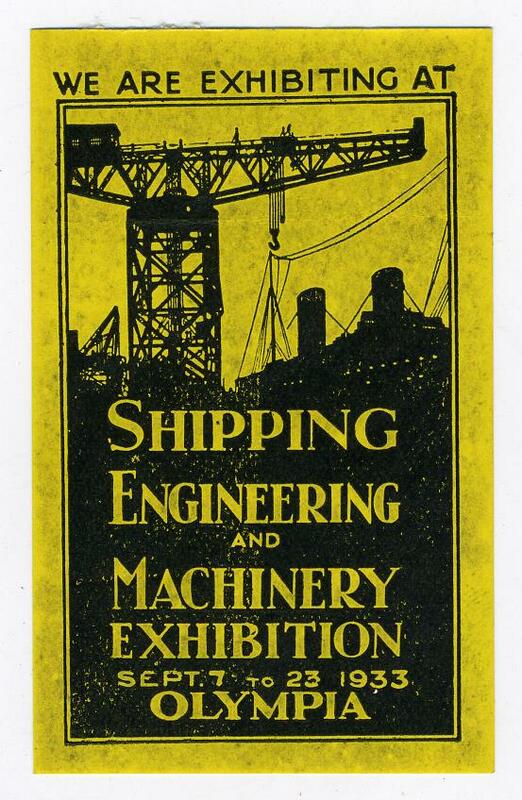 Text reads 'We Are Exhibiting At Shipping Engineering and Machinery Exhibition Sept 7 to 23 1933 Olympia'. Printed black on yellow background.